As it's WOMEX's big 20th birthday this year, we're going to take a step back and look over some of the artists who have graced our stages over the years. Twice a week, we'll bring you a great track to represent one of each of our 19 fantastic editions. And what better place to start than the start? 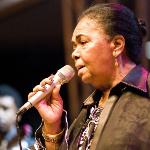 Cesária Évora (Cabo Verde) appeared at our first edition in 1994, continuing her rise to the position of world music legend. 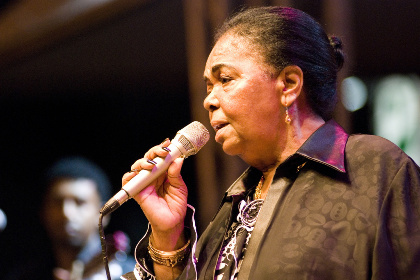 Sadly passing away in 2011, her spirit nevertheless lives on, and the Cesária Évora Orchestra will be performing this year in Santiago de Compostela! This track was recorded just a year after Césaria's WOMEX appearance – the beautiful Petit Pays.